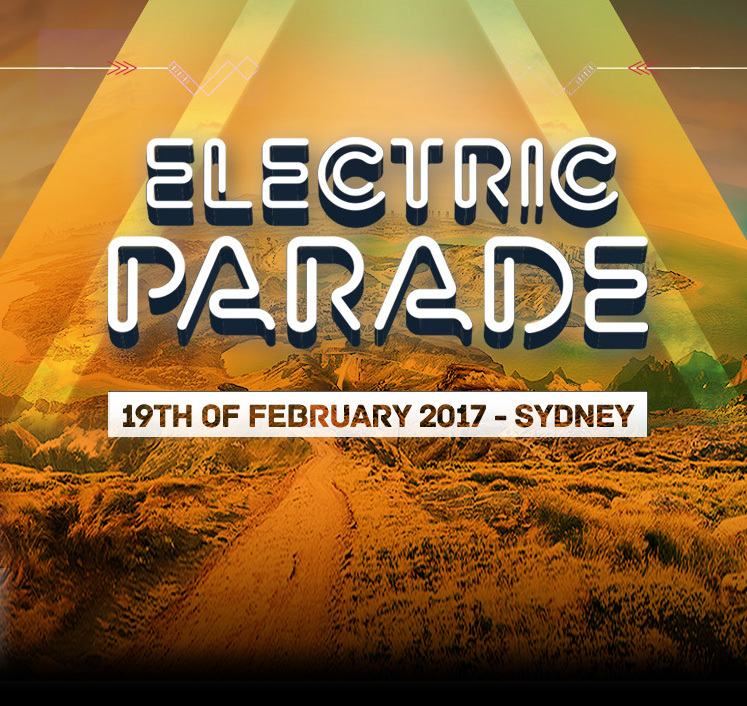 Electric Parade is coming to Sydney! Manning Bar, Houses and Manning Lawns at the University of Sydney. 12 midday until 12 midnight. Delivering the ultimate production along with a next level line-up, this is your chance to experience amazement and bliss. As the sun sets, you are left dancing to the pulsating sounds of the world’s greatest international DJs and Live Acts. Tickets to the Electric Parade festival are sold by Electric Parade Pty Ltd, ABN 50 139 653 348. 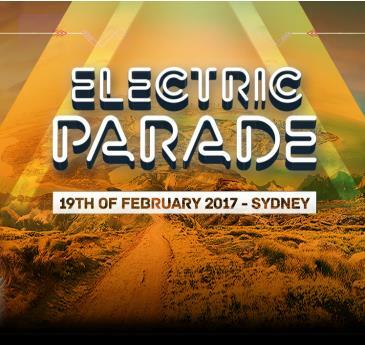 Purchase of tickets to this event constitute a contract between Electric Parade Pty Ltd, the purchaser and, in the event that the ticket is purchased on another’s behalf, the ticket holder.Tickets are sold subject to the following terms and conditions which form part of the contract between Electric Parade Pty Ltd, the purchaser and the ticket holder. 1. Tickets will not be refunded under any circumstances. Please pay close attention to the quantity and price of tickets in your order. A mistake on the part of the purchaser, or a change in personal circumstances of the ticket holder will not entitle refund,return or exchange of the ticket. Each ticket holder is entitled to change thename of their ticket once and once only, by using the name change processavailable on the official Electric Parade website. 2. Illegal substances, weapons, glass and other items listed as banned on this website are 100% prohibited - searches will be conducted on entry to ensure compliance with the banned items list.Persons found to be in breach of these rules may be refused entry and turned over to the Police. 3. All ticket holders must be at least 18 years of age to gain entry to the Electric Parade venue.Tickets will be not be refunded to those who have purchased tickets and are under the age of 18. 4. Programming of the event and venue location is subject to change without notice, including the possible non-appearance of any particular person or group expected by the ticket holders,whether advertised or not, or any adverse weather conditions beyond the reasonable control of the event organiser. 5. Lost,stolen or damaged tickets will not be replaced. 6. No animals will be permitted on site. 7. No fireworks,lasers, flares, cooking equipment, candles may be brought onto site and a total fire ban will be in operation. 8. Any patron engaging in unacceptable or anti-social behaviour may be ejected from the event and will not be permitted re-entry. 9. Tickets only provide access to the areas as indicated by signage at the event. 10. Festival wristbands must be worn at all times around the wrist of the ticket holder when at the Electric Parade venue. 11. Entry to the Electric Parade venue is only permitted to holders of valid tickets who agree to the terms and conditions of purchase, in addition to all relevant event information and guidelines viewable at www.electricparade.com.au. Electric Parade Pty Ltd reserves the right to evict any person who does not comply with the terms and conditions and/or does not comply with the festival rules and/or is involved in an illegal activity. 12. Electric Parade PtyLtd has the right to use any photos, film or other recordings taken of peopleor things whilst attending the festival for presentation, promotional or other ElectricParade Pty Ltd purposes in perpetuity. 13. Audio visual equipment (including but not limited to cameras, video recorders, mobile phones and pagers) are permitted subject to the discretion of the venue. The Presenter reserves the right to remove a ticket holder if they are in breach of the requirements regarding audio visual equipment. 14. Patronsare encouraged to share transport. Transport to and from the Electric Parade venue willbe operated by independent parties. Electric Parade Pty Ltd accepts noliability for any action or omission by such parties. 16. Electric Parade Pty Ltd takes no responsibility for loss or damage to personal property. 17. Ticket holders acknowledge that participating in an event at the Electric Parade venue has inherent dangers and risks including a risk of serious injury or even death. In the event of injury or illness Electric Parade Pty Ltd may, at the cost of the ticket holder, arrange medical treatment and/or emergency evacuation as deemed essential for the safety of the ticket holder. 18. Entryto the event venue is at the ticketholder’s own risk. Without limiting the generality ofthis, appropriate footwear and clothing must be worn at all times on the site and ear plugs should be worn if necessary and Electric Parade Pty Ltd takes no responsibility for any hearing damage or loss caused by excessive noise. 19. To the full extent permitted by law, ticket holders waive all legal rights of action against and fully release Electric Parade Pty Ltd, its agents, employees, members and volunteers for all claims for compensation for loss, damage, injury or death howsoever arising out of or in relation to the ticket holder’s participation in the event including without limitation, liability for any negligent or tortious act or omission on the part of the persons released or under statute or for breach of these terms and conditions. WARNING: If you participate in these activities your rights to sue the supplier under the Fair Trading Act 1999 if you are killed or injured because the activities were not supplied with due care and skill or were not reasonably fit for their purpose,are excluded, restricted or modified in the way set out in or on this notice.